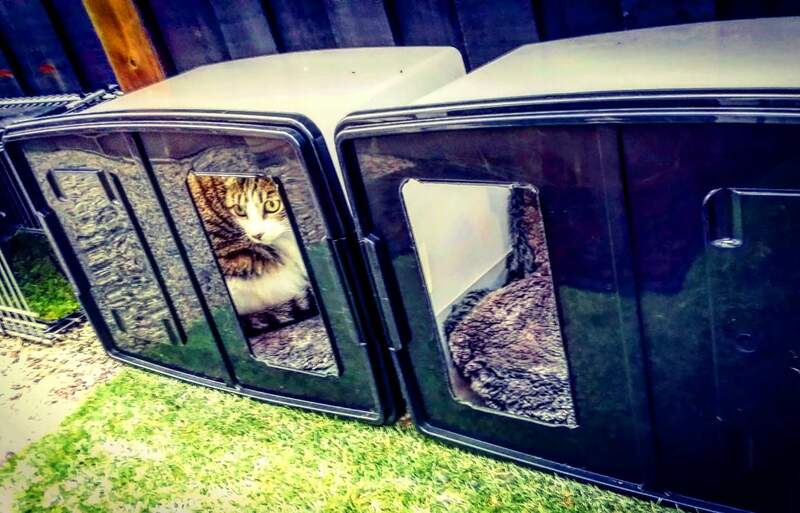 Catios and cat enclosures are the new norm for many cat owners. 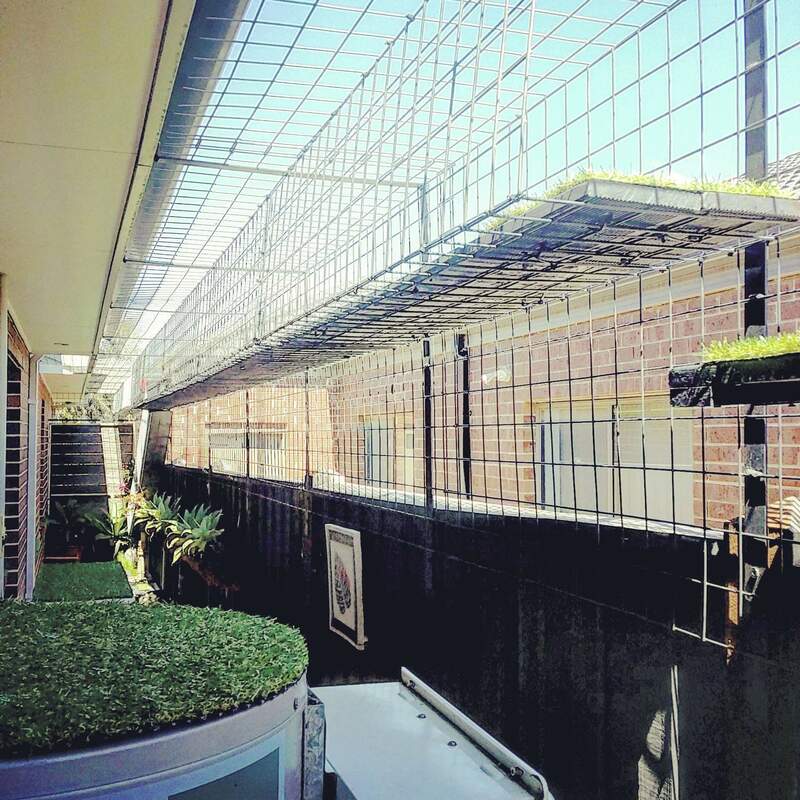 We’re taking a look at some of the latest and greatest, and this newest enclosure from Australia features birds eye views of the neighborhood and 50 feet of climbing, running, and stalking room. 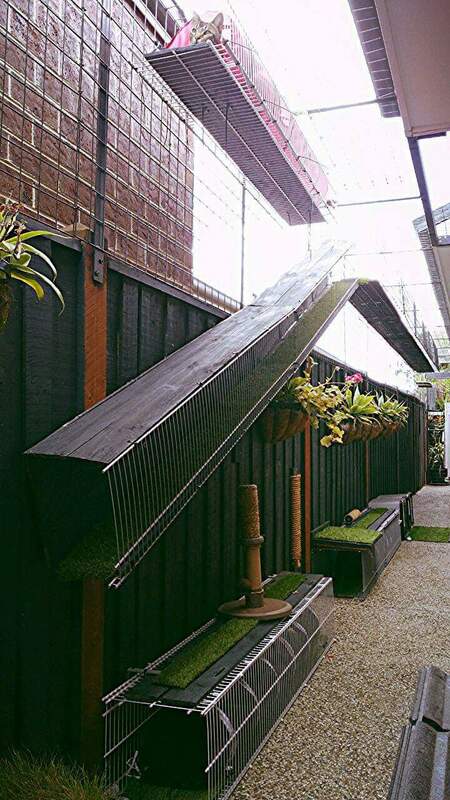 In Melbourne, Cliff Zammit has created the ultimate enclosure for three of his favorite felines. 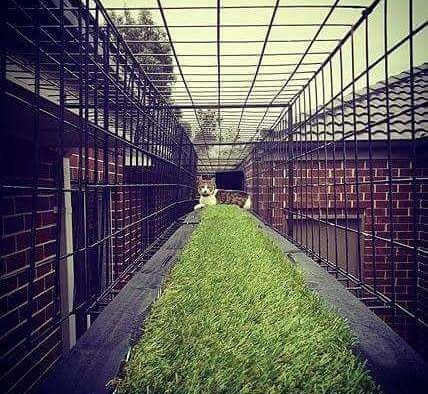 A little ingenuity and creative thinking goes a long way in this beautiful cat enclosure and we’re sure his cats appreciate the effort. 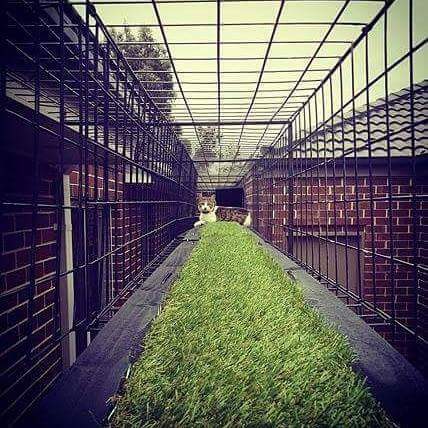 The 50-foot cat enclosure features a bird’s eye view of the neighborhood, ground-level tunnels, handmade scratching posts, and outdoor sleeping dug outs – complete with a cat door to access indoors when it rains. 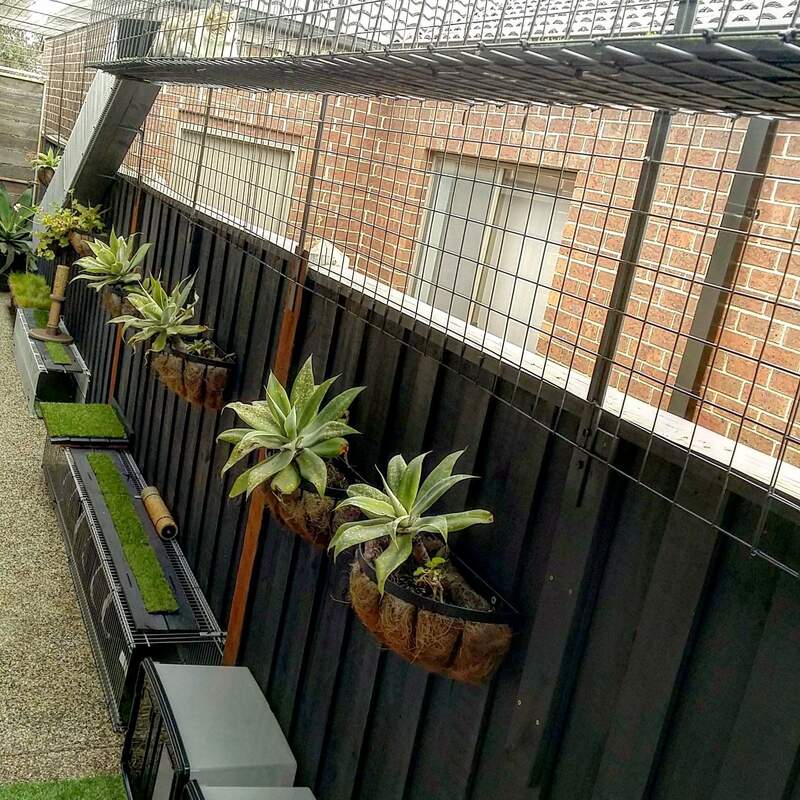 To ensure his cats are living in a safe, secure environment, Cliff Zammit has designed an area where his rescue cats will not be injured by cars on roads, accidental poisoning or any of the predators that roam the area. 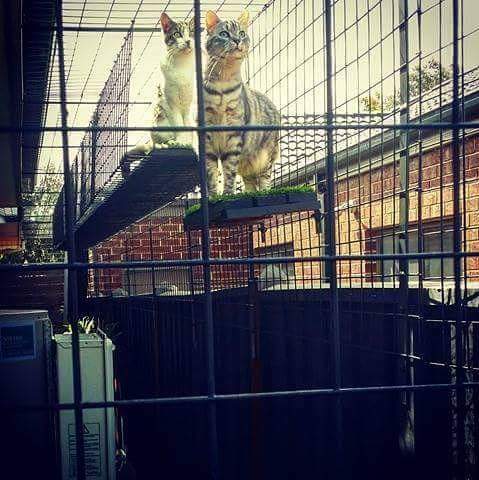 How do his cats feel about it? 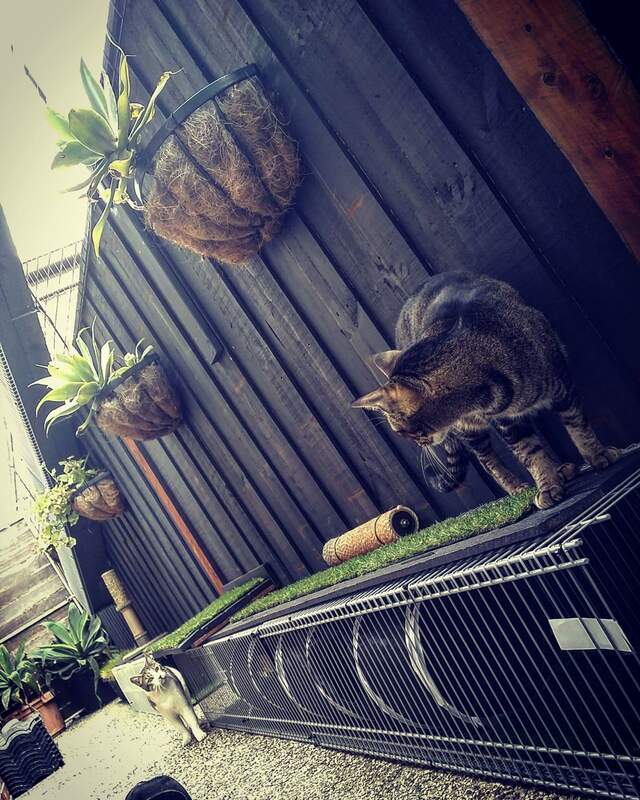 “They love it!” Zammit said.